Transitioning from a static data center infrastructure to Amazon Web Services (AWS) can transform your organization’s IT from an overhead cost into a business enabler. To fully embrace the advantages that AWS provides, organizations must also extend advanced security protections to their cloud environments to secure their data and workloads from cyber threats and sophisticated malware. Check Point vSEC provides comprehensive threat prevention and uniform security management across on-premises and hybrid cloud environments, all managed from a single console. 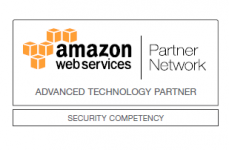 Read the Tech Brief for a complete understanding of your organization’s security posture on AWS utilizing Check Point vSEC. AWS Shared Responsibility Model: When deploying systems on the AWS Cloud, AWS helps by sharing the security responsibilities with you. AWS manages the security of the underlying infrastructure (“security of the cloud”), and it is your responsibility to secure anything you deploy on AWS (“security in the cloud”). To learn more about how Check Point’s vSEC provides advanced security protections for the cloud, download a free trial of vSEC in AWS Marketplace or contact your Check Point or AWS partner or sales representative. ©1994-2018 Check Point Software Technologies Ltd. All rights reserved.